There’s no question it’s a bona fide phenomenon… but there’s a lot of question about how big that phenomenon is. I’m talking about cord-cutting, the trend of getting rid of your cable bill and getting all your entertainment from an antenna and from the internet. A decade ago it was unheard of, and today it’s all around us. The most common statistic tells us that about 21 million households do not have conventional pay TV service, which accounts for about 15% of all households in the US. That’s more than almost all pay-TV providers. 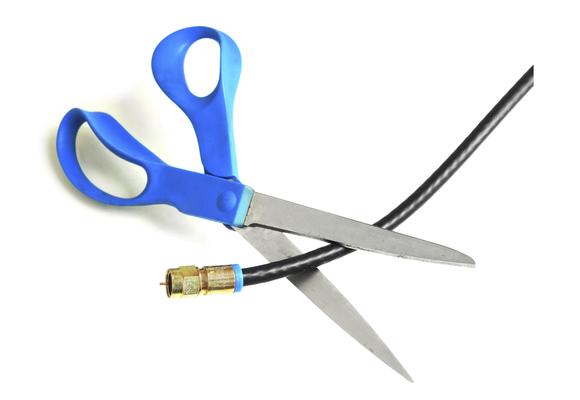 If cord-cutting were a service, it would be a really big one. That number can be confusing, though, because first of all it depends on a very broad definition of “households” and it mixes together people who have never paid for TV service with those who actively pushed the cable company out of the house. I’d argue that both are important, but to be a cord-cutter, at least in my book, means that you once paid for TV and don’t now. Otherwise you’re a “cord-never.” It also counts multigenerational homes, in other words, where adults live with their parents, even though the younger generation may never touch the TV anymore. Those people are cord-cutters, at least in spirit. The one thing that’s indisputable is that the cord-cutting movement is growing. A generation ago, the only reason to cancel cable was that you really couldn’t afford it. Today, since cable companies often carry only a fraction of local channels and still charge over $100 a month, it’s not so much whether or not you can afford it but whether or not you think it’s worth it. Certainly, the “summertime blues” don’t help cable companies one bit. Speaking only for myself, my DVR’s looking pretty empty and there isn’t a whole lot of new stuff out there. Netflix and Hulu are rolling out tons of new content aimed at people who like smart, original programs, while traditional channels are running things like “I ate what?” because they still believe in the idea that people don’t watch TV in the summer. That’s why there’s never been a better time to cut the cord. You’re probably already aware of the stuff you can stream, but you probably don’t realize that there’s a whole world out there available for free using an antenna. Putting an antenna up gives you access to as many as four times the number of local channels that your cable or satellite company gives you, all for free!